AUGUST 2008: These are some of the more popular poetry posts of the past 10 months of blogging on this site. 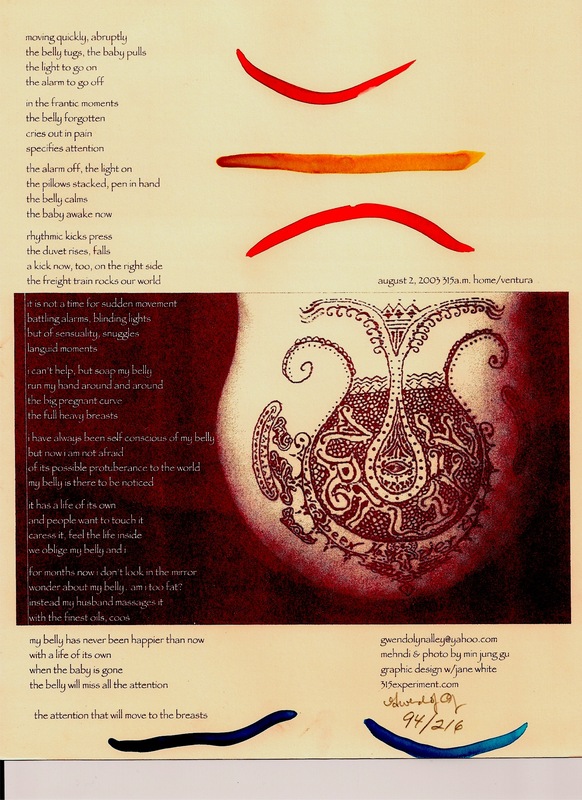 Below you’ll find broadsides I made for ArtLife Limited Editions Magazine and links to the post with the text of the poem. At the bottom of the page are links to my Top 10 Posts of 10 Months according to stats collected by WordPress; these posts run the gamut from astronomy and astrology to poetry to recipes to wine and travel. A few people have suggested others as favorites which I will add links to when I get a chance! What are your favorites? Please let me know in the comments below! 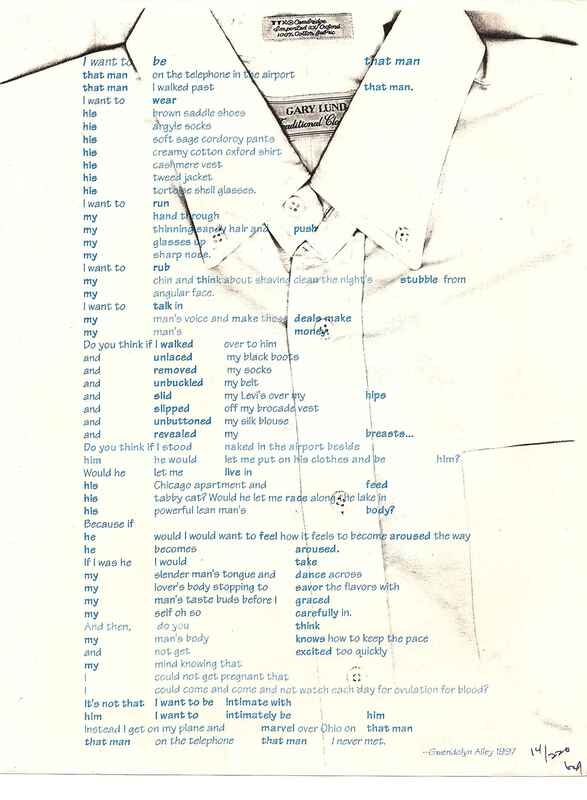 The story behind this artwork and the one which follows as well as links to the text is here. 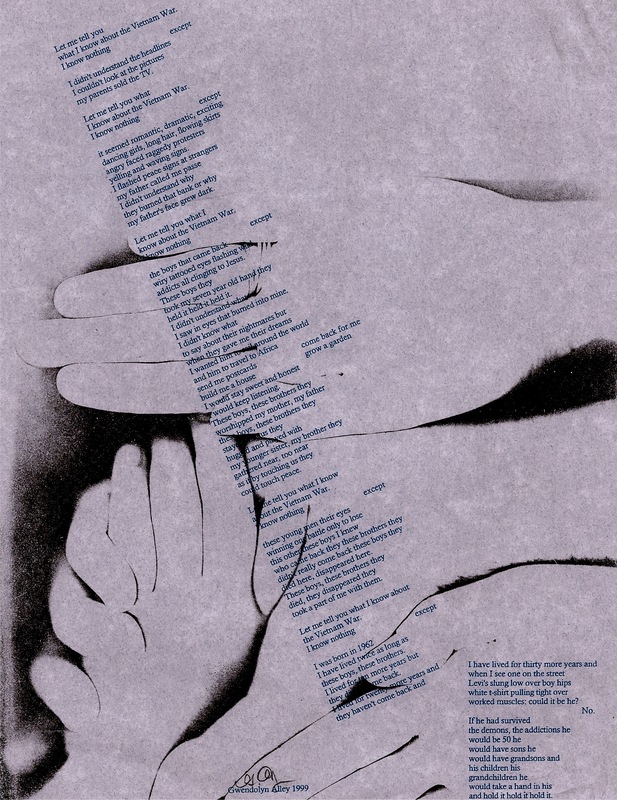 Find the full text of this poem, “These Brothers They” originally published in ARTLIFE Limited Editions 1999 here. 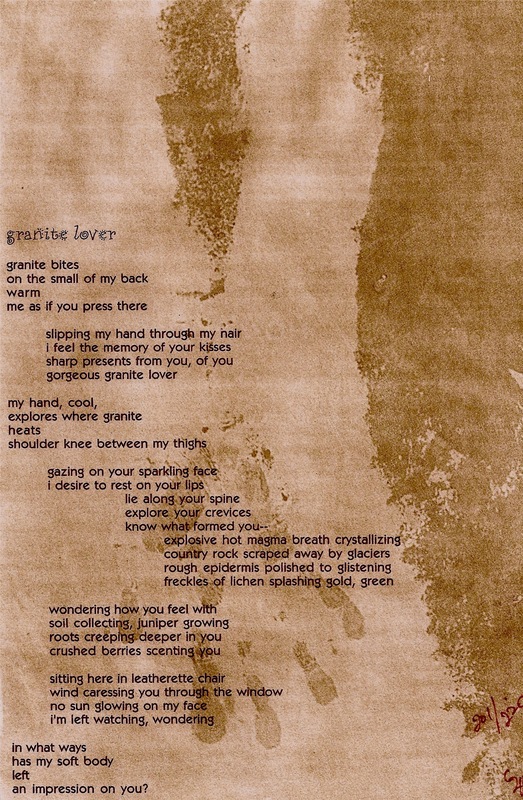 For the full post of this 315 Experiment poem (which was published in 2003 in ARTLIFE), please go here. Scroll to the bottom. 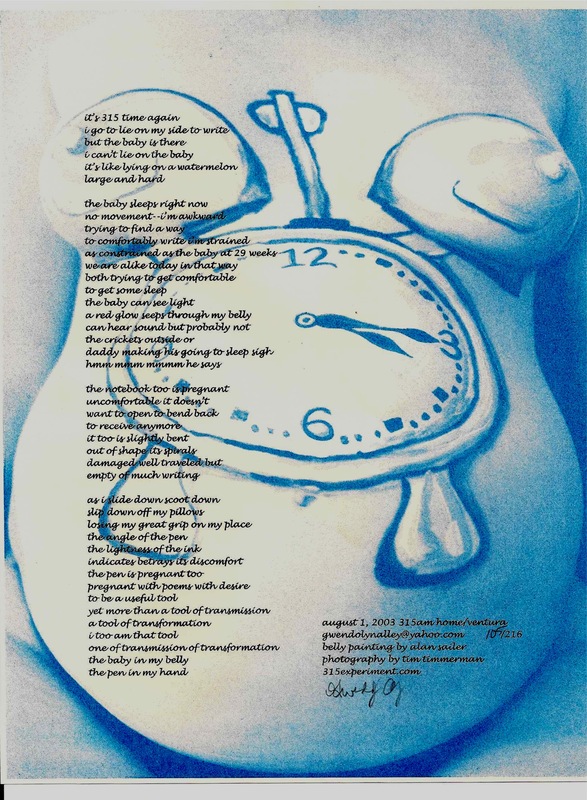 I wrote “ballad of my belly” during the 3:15 Experiment in August 2003; it was originally published in ARTLIFE on the back cover November 2003; find the original blog post from July 28, 2008 here. “Taxes” is a 3:15 Experiment poem from 2002; published in ARTLIFE in 2003, in between sleeps: poetry from the 3:15 experment 1993-2005 in 2006 and here April 14, 2008.
and here’s the link for How to Write at 3:15am, a 3:15 experiment poem from 2005. What did you hear from the fellowship people?